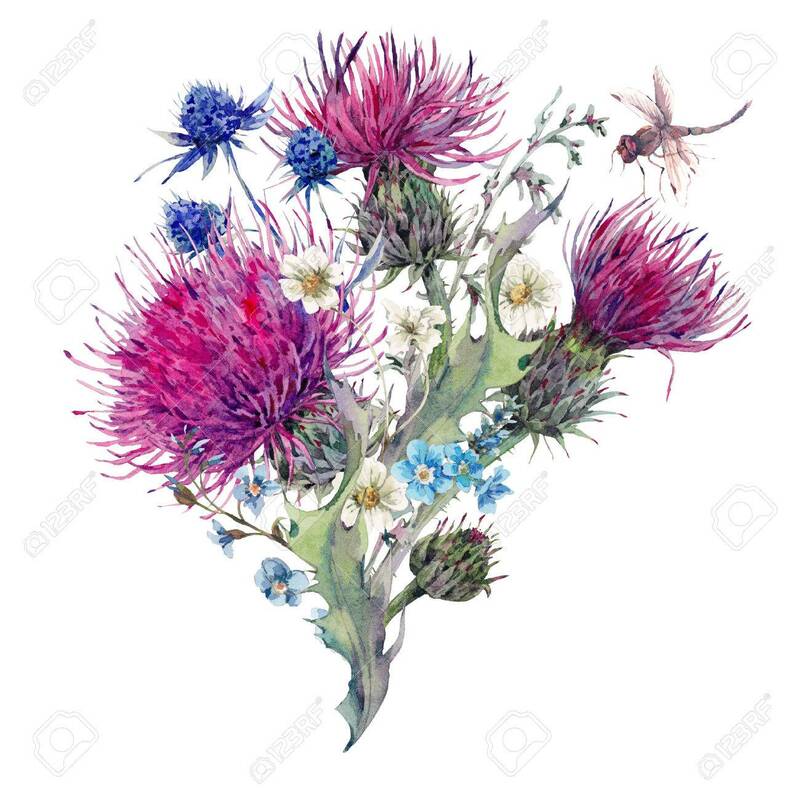 Summer Natural Meadow Watercolor Greeting Card With Wild Flowers, Thistles, Dandelions, Meadow Herbs, Chamomile And A Dragonfly. Botanical Vintage Isolated Watercolor Illustration Royalty Free Fotografie A Reklamní Fotografie. Image 57232317.